We got the beat. From second line rhythms and tap dance in the street, to funk in the studio and the cowbell on concert stage, rhythm’s something we all have. This week, check out the beats of the Dirty Dozen Brass Band, Cuban bandleader Cachao and tap-dancer Savoin Glover. 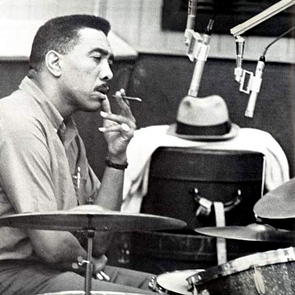 Plus drummer Earl Palmer tells us about playing with Little Richard and Fats Domino. We’ll dig into the clave rhythm with Tom McDermott, and Elvis’ man in the pocket DJ Fontana keeps the beat with American Routes.